Being tired is not only caused by depriving yourself a good night sleep – which doctors recommend should be up to 7-8 hours, and it is definitely not the handiwork of some spirit in a distant village. 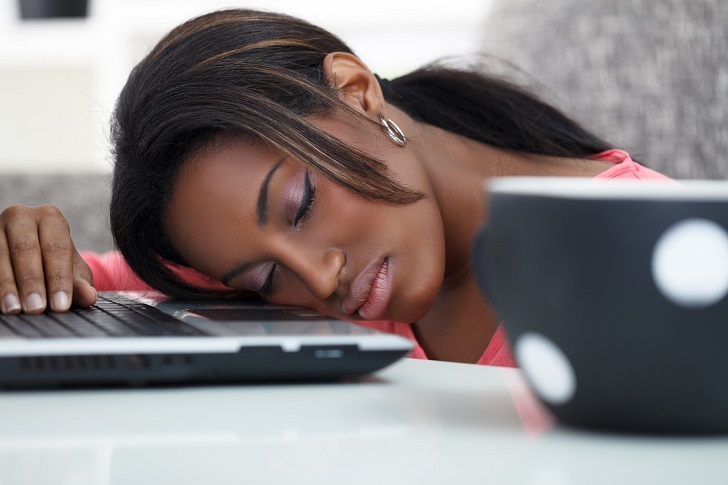 Most probably your condition is caused by one or more of several causes of constant fatigue. Surely, there are dangers attached to always being tired: from not being able to work efficiently, tending to fall asleep at the wheel, risking high blood pressure, through to other harmful effects. It is, therefore, worthwhile to keep yourself from getting tired easily by recognizing its causes. This condition is caused by certain things you do or don’t do. Take all into cognizance for better results. Amongst the numerous functions of water is the fact that it boosts energy. When you’re dehydrated weaknesses sets in regardless of whether you’ve eaten or not. Cut the crap about not being interested in taking water and give it a chance for your health sake. I know some people who even after eating do not drink water or take very little, this too is bad because water is needed for digestion. Medically speaking, according to Amy Goodson (a dietitian), dehydration results in the reduction of blood volume which makes the blood thicker; this inadvertently makes the blood to pump less efficiently. Word. Haven’t you noticed that when you wake up in the morning there is a yearning for food by your body? It’s almost as if you ate very little the previous night. In fact, if you skipped dinner the weakness you’d feel would be more intense than if you ate just a little. This shows that food contributes a lot to ensure your body has the energy it requires to go about the duties you’ve set out for. Breakfast is meant to kick-start your day on the right track, ensuring that you don’t easily get tired before midday. So before you decide to skip breakfast next time remember that it is the fuel you need to keep your engine working fine. Perfectionists are known to always aspire for one thing – perfection but at the same time never achieve it, yet they keep trying. This constant effort to do or achieve something beyond them takes a toll on their health and causes a lot of damage. It makes them work unnecessarily harder and longer. There is nothing wrong with having goals and striving to achieve them but ensure it’s not an over the top or unachievable one. Set a time limit to guide you on any project and if what you want is not forthcoming take a breather. If you are wont for getting easily worried about the outcome of certain things; or your anxiety level is always out of control then there is a high chance you’d suffer from mental depression which is a form of tiredness. Stop yourself from being overly concerned about the outcome of your application for a job, or the exam you just wrote or are about to write, or the surgical operation for your relative, or the money that’s currently unavailable for your children’s fees. All of these end up wearing you out. Knowing that difficult situations are a necessary life occurrence, your approach should reek of confidence. People with this state of mind hardly get down and out. Is it that you have not heard that it is impossible to please everybody or that you’re undertaking a study to disprove this? Because trying to be in the good graces with everyone would rob you of the rest you deserve, leaving you to occasional cat naps. Learn to say no sometimes even though it appears selfish. That extra time on your work schedule could cost you an extra dime at the clinic’s counter just for a diagnosis of getting tired often. So consider your health each time a favor is asked of you. All work and no rest makes you a…… fill the blank yourself. Whether you have gone AWOL or took a permission to leave for the purpose of resting from the demands of work, do so to the latter. Leave work where it is and make the most of the time you got by doing exactly what you got it for – resting! Don’t forget that there is a time for everything under the sun except this does not apply to you; in that case, you won’t be under the sun.